Founded in April 2011 by young leaders, the Pennsylvania Youth Congress is PA's first and only statewide LGBTQ youth advocacy organization. As young Pennsylvania advocates, we work to empower ourselves through meaningful community engagement and effective advocacy. 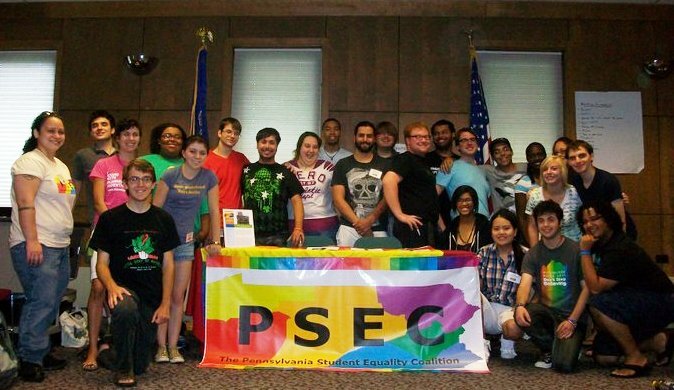 The Pennsylvania Youth Congress was initially established as The Pennsylvania Student Equality Coalition. Our name was changed in May 2015 to better reflect our work on state-level public policy. Our framework and values come directly from the Student Nonviolent Coordinating Committee (SNCC), the leading youth arm of the civil rights movement in the 1960s. PYC explicitly works to support an inclusive and affirming youth community where all young leaders can efficiently communicate and collaborate. As a coalition of young people, we have chosen to develop a new vision for how we advance our work. Too often we see the organized movement become a series of non-profit organizations that are more concerned by limited resources than helping their communities on the ground. As a volunteer-based organization, we have no member dues and rely on donations and foundation support for our work. PYC is proud to be the nation's first youth-led statewide LGBTQ advocacy organization. While some national and state organizations may have youth "programs," they can lack direct engagement with young people. PYC believes in empowering ourselves as young advocates so that we can be the leaders of today. We are an organization willing to work with our partners and allies from all throughout Pennsylvania. We support having inclusive and diverse leadership. We do not align ourselves with any political party or politician. PYC is a coalition of young leaders committed to integrity, honesty, and communication. We believe in addressing systems of power and oppression across social justice movements. Youth leaders from all regions of the commonwealth met in August 2011 for a Constitutional Convention in Harrisburg to adopt the framework for the organization. 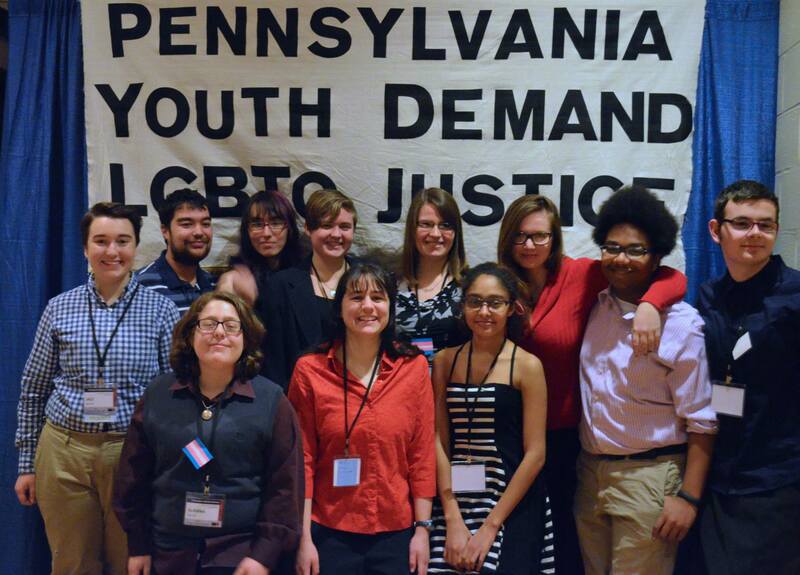 PYC's annual Pennsylvania Youth Action Conference (YAC) has become PA's largest statewide gathering of LGBTQ youth leaders. 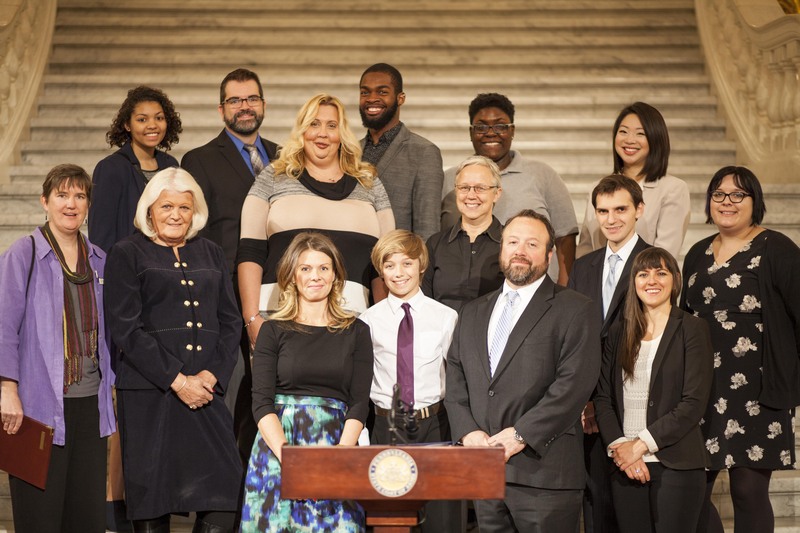 PYC organizes important platforms for the LGBTQ community of Pennsylvania in the State Capitol. The first annual Pennsylvania Comes Out for Freedom Event, celebrating LGBT History Month and National Coming Out Day, took place in October 2015.